As per usual for May, cycling enthusiasts were met with lots of rain upon arrival in Quebec. I got in Thursday and was able to do a couple loops of the course. A short, but technical loop which had us traversing off camber hills, rocks and roots, not to mention streams. The well-known rock garden was no longer a feature on the Bromont course having been bulldozed this year. Rain continued to fall almost constantly so that by race day the course was more of a river and the stream crossing a bike and human engulfing pit. The women got off to a fast start to our 5 lap course. Starting on pavement we climbed a km or so up dirt and into the first of many single track sections. Mical Dyck took the lead from the start with two women separating us. By half way up the climb I had moved to the front and was climbing away from the pack. I had enough of a gap by the crest I felt confident in my ability to lead the entire race. Perhaps this overconfidence led to my eventual third place finish. I rode the single track well, but not fast enough as by the end of lap 1 returning racing superstar Karen Dewolfe had caught me with Mical not far behind. The race would follow this pattern for 3-4 laps with me getting a gap on the climb and Mical and Karen catching me by the last single track. By lap 4 I think we were all down to metal on our brakes which led to some kamakazi style descending. Karen passed me mid lap 4. I then crashed and Mical who had been right on my wheel got by. We started the 5th lap together, but by mid lap gaps were starting to form as first Karen got away and then Mical. 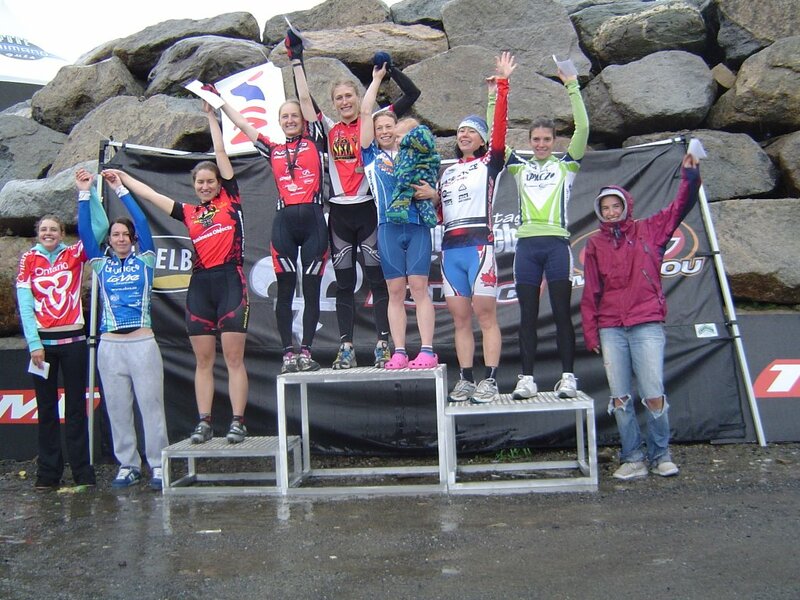 Mical went on to catch Karen and win her first Canada cup by 23 seconds. I rode in 1min 02 off Mical for what was a really solid start to the race season for us all. It’s good to be back riding eastern trails and I look forward to bringing my descending speed up over the next couple of weeks. Off to Tremblant tomorrow. A plus tard.